A heart murmur is any abnormal sound that is heard during a heartbeat. While it can be scary anytime something odd happens with your heart, most heart murmurs are nothing serious. In rare cases, your heart murmur may be a sign of something serious. Getting your heart checked out as soon as your hear a heart murmur will reduce your stress and make treatment much easier. There are several common conditions that may cause a heart murmur and do not require treatment. Some of the common causes of heart murmurs include high blood pressure, overactive thyroid, anemia or fever. Properly treating these conditions should eliminate any heart murmurs they caused. If your heart murmur is not caused they one of these four conditions, then you may have a problem with a heart valve or a heart defect. A mitral valve prolapse occurs when a heart valve does not close properly. This is usually not serious, but it does cause a slight clicking sound when your heart beats. Mitral valve stenosis is the narrowing of a heart valve. This forces your heart to work harder to pump blood. This extra work can cause a very noticeable heart murmur. Heart murmurs may also be caused by aortic stenosis. This is caused by excessive scarring and is usually only seen in the elderly. The final heart valve problem that causes heart murmurs is a mitral or aortic regurgitation. This occurs when blood flows the wrong way through one of your heart valves. While some of these heart valve conditions can be serious, they are also easily treatable. The vast majority of heart murmurs do not require treatment. If your heart murmur requires treatment, then it will be done through either medication or surgery. Medications to control heart palpitations and eliminate blood clots can be used to treat minor heart valve conditions causing murmurs. Diuretics may also be used to remove excess fluid from the body, which will make it easier for the heart to pump. If you have a serious heart valve problem causing your heart murmur, then surgery may be your only treatment option. Not treating a serious heart condition can lead to heart disease or heart failure. 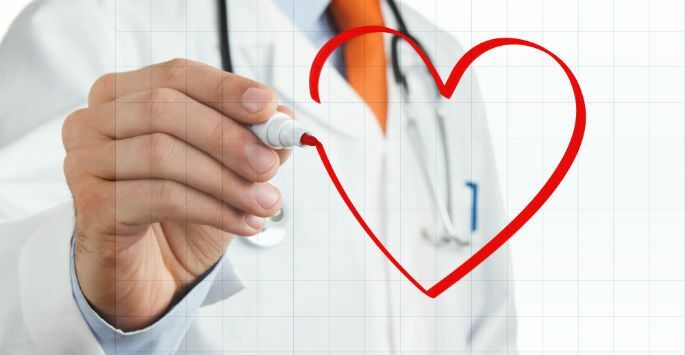 Surgeries to correct heart valve diseases and heart defects are performed every day, so you have nothing to worry about. There is a chance that your heart murmur is not caused by anything serious, but you should still schedule a consultation with Dr. Adam Splaver. At NanoHealth Associates in Hollywood, FL, we specialize in heart health and cardiology. Contact us today to learn more about how we can help you get optimum heart health.